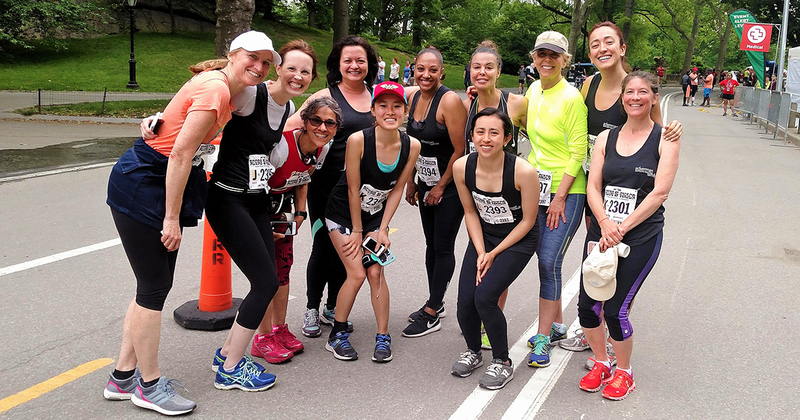 The Ackerman Team laced up their running shoes in Central Park last weekend to run the 2017 New York Road Runners Retro 5-Miler. Together, our team set out to promote our important work, Creating Community to Help Families, and to raise support in the process. Each spring, members of our community are invited to join the Ackerman Team, where trainees, staff, alumni, board members, and friends of Ackerman come together for the shared goal of making a difference in the lives of families in need. We had a great time running – and walking – in Central Park this year, and are already looking forward to next year’s race. If you would like to learn more about upcoming Ackerman Team events, please contact Adriana Londono, alondono@ackerman.org.